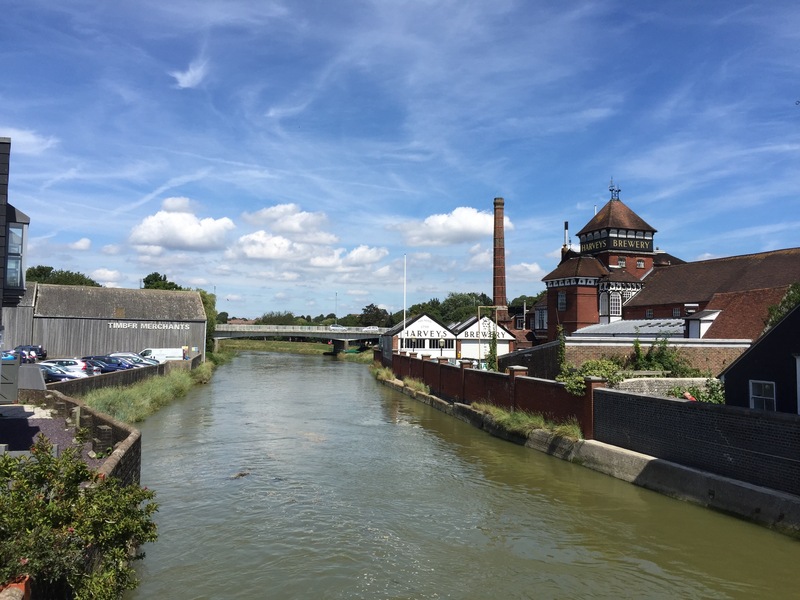 Since 1790 this brewery has been serving Sussex’s population of the refreshing beverage. Two stories (that might be legends) struck me about this place. The first one was that when the floods hit Lewes, barrels of beer went with the Ouse river. The second story is not really about this place but about its produce. The Lewes Arms, a local pub and iconic place of Lewes, changed owners. The new brewery tried to force the pub to only sell their beer but the locals resisted and would rather go for a wander to a different pub than to their local. The new owners had to come around and change their mind to allow Harvey’s beer be served. Me encantan los canales, debe ser un lugar bello!